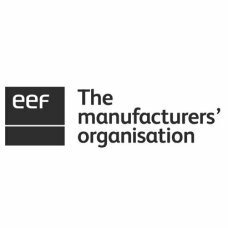 Get a head start with an EEF apprenticeship. Earn while you learn, get on the job training, specialist qualifications and a foot in the door at the employer of your dreams. If you have an aptitude for maths and science, have ambitious career goals, enjoy being hands-on and are a great problem solver, an apprenticeship could be the perfect start to a career in manufacturing and engineering. With in-depth knowledge of what skills manufacturing and engineering businesses need, complementary apprentice mentoring and advice, and a dedicated training campus offering world-class facilities and expert teaching, EEF has given thousands of apprentices like you a head start in their manufacturing and engineering career. Becoming an apprentice will give you valuable skills and knowledge. You will be working with industry-standard equipment and machinery and receive training that you can take anywhere in the world. Becoming an apprentice means you can earn while you learn. You’ll earn a wage from the beginning of your apprenticeship with more to come as you learn more skills. So not only will you be making yourself more employable – you will be being paid to do so! A spokesman said: “We believe that our apprentices learn best by doing. As well as studying for a practical and theoretical qualification, we will also help you prepare for life as an engineer. So you will learn the disciplines of the manufacturing sector, plus a work ethic. It means you will be a valuable member of the working team. An apprenticeship is a doorway to the rest of your career – one that will open up the world for you in terms of what you can do, where you can work, and what you then go on to learn and achieve. The spokesman added: “In order to train as an apprentice you will need an employer. At EEF we work with some of the country’s leading engineering and manufacturing employers, matching you to your tailormade apprenticeship and your perfect employer. “Each year we open our doors so that you can meet employers and see our state-of-the-art training facilities. This is the perfect opportunity to begin your apprenticeship journey.